Help, I'm Losing Weight but My Booty is Shrinking! 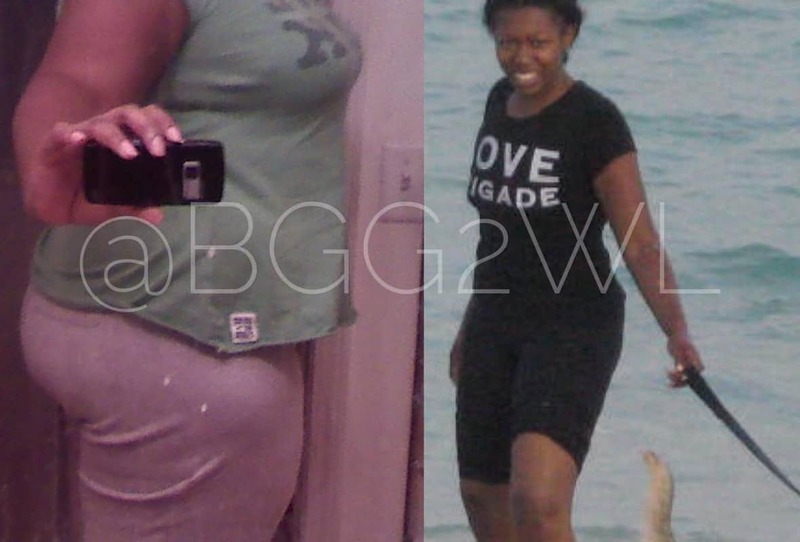 Home Building A Home Workout RoutineBooty	Q&A Wednesday: Help, I’m Losing Weight but My Booty is Shrinking! Q&A Wednesday: Help, I’m Losing Weight but My Booty is Shrinking! I finally figured this weight loss thing out. I’m eating clean, I’m working out, I’m doing things I actually like and losing weight while I do it! But Erika!!! My booty is going away!!! I. Need. That. Please help me figure out how to keep at least SOME of my curves! I mean, it’s not enough to make me quit, but it’s gonna be hard to accept not filling out my cute jeans anymore!!! First, know that your booty is made of two kinds of mass: body fat, and muscle. And, when you are on a plan to lose weight, you ultimately end up losing both kinds of mass from just about any and every part of your body. That’s going to include your arms, your breasts, and… your booty. You have to understand the structure of your own body in order to adjust your expectations. Like—yes, you might love your curves, but the more weight you want to lose, the more of a dramatic change you should expect in not only your appearance during your journey, but also your appearance once you arrive at your designated goal. This is particularly different for those of us who’ve grown attached to specific parts of our bodies—we have to let go of the thing we look at in the mirror, the thing that makes us smile. Take deep breaths, and think about all the other reasons you’re going to have to smile over the course of your journey, and not just over your body—over everything you’re accomplishing in your chosen sport or activity, and your body may merely be a reflection of that. I really wanted to go all in-depth with diagrams and all that to help explain why this happens and what it looks like when it happens, but I realize most people aren’t interested in that. If your booty is predominately made of fat then you should expect that, as your body fat percentage lowers, your booty will shrink, too. And, the faster you lose the weight, the faster it will shrink. If you’re mostly made of muscle back there, however, then you can expect it to hold on a little bit better. Furthermore, it’s a generally accepted belief that you can decide, once your goal feels within reach, that it’s time to “bulk up” a little bit by going on a more intense strength training routine to help build muscle in specific places. Lots of people go on a “cut” where they cut the body fat, then go on a “bulk” where they bulk up on muscle to try to not only replace the muscle they might’ve lost during the cut, but also add a little more. This entire process is called “recomping,” as in readjusting the composition of your body. Remember, this is something I had to do a few years back because I lost too much muscle, and it changed my figure for the better, too. I know that people come into weight loss journeys with high expectations—I want to look like this!—but the reality is, the more you have to lose, the more open your expectations should be. You’ll rarely know what you have to work with until you can see more of it—and, though I don’t recommend it, you can always slowly re-gain body fat and hope that it will go where you want it to go—so the best you can do is stay diligent, stay patient, stay open-minded, and stay on-top of your protein. Your body—and your booty!—will thank you for it!